MLM Software Kolkata's designers create both Simple and Dynamic MLM Websites to build and include lead generating, search engine friendly pages displaying complex media like inserting video, audio, animations, pictures so as to present your MLM website live online. Flash Web Designs are also designed and in these innovative designs plug- ins are also embedded within the site. Our MLM Website designing solution harbor varied features like providing Lead generation page, option box, auto respond, ads placement which you can control by your self only without any hazards thus you can access your online status while chatting with the Team members or others etc. We create customized MLM website solution suitable for marketing MLM products, retail products, wholesale products or promoting services and applications for the market by providing our clients full featured MLM websites designed for multi level marketing. Another significant feature of our MLM website is that MLM Website designed by our web developers is easily accessible. MLM Software Kolkata's adept and experienced Web Designers intents to provide mlm websites based on the requirement of using basic programming languages like HTML, XML, DHTML as well as using ASP, ASP.NET, C#, PHP, JAVA, Java Script, CSS along with database like MySQL, MS-SQL, MS-Access and interactive features or web design interfaces to the user end in the form of MLM Web pages containing crisp, thin font, gorgeous background, bit-mapped images, forms using basic HTML or XML codes. 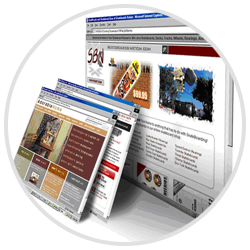 Dynamic web pages are more compatible for MLM business websites where content or appearance can be modified depending upon the end-user's input or on user, database etc. With Jscript, Actionscript contents can be changed on the client side. Complex applications can be run using Perl, PHP, ASP, JSP, ColdFusion.